Instead of creating each SignUp list by hand, save time by creating several at once. You can set the names for each SignUp list, as well as the settings that will be applied to all of them. Enter the names of the SignUp lists you want to create. 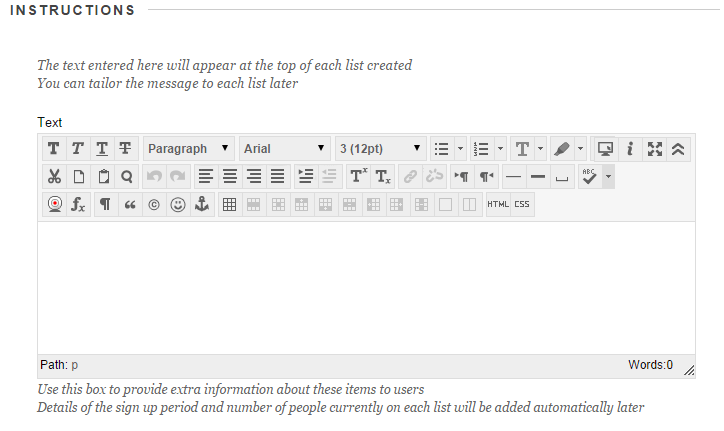 Use the + and – buttons to add/remove the fields for the names, up to a maximum of twenty. Set the dates and times where you want students to be able to sign up to the lists. Outside of these dates, your students will be told that it isn’t open/has closed. You can get the SignUp lists to also create a Blackboard group, and also select if students are automatically added to the group. 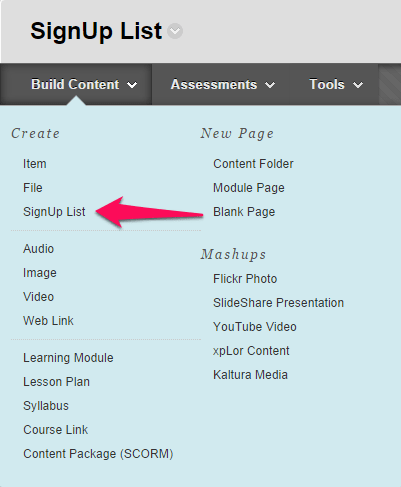 If you are creating groups for use with these lists, you’ll see the Create Group screen. Click Submit when you’re done.